The course is aimed at anyone preparing to take their BHS Stage 1 Complete Horsemanship exam. Suitable for anyone aged 14 years and over who cares for and/or rides horses regularly. Please note the maximum rider weight limit is 14 stone (182lbs). This is the first level on the BHS career ladder and will also aid horse owners in caring for their own horses. This short course will cover the BHS stage 1 syllabus and will provide you with the necessary preparation to achieve the exam. Topics will include grooming, handling, rugging, shoeing, horse health & basic equine behaviour. The course will be delivered at the College’s fully equipped Equestrian Centre. 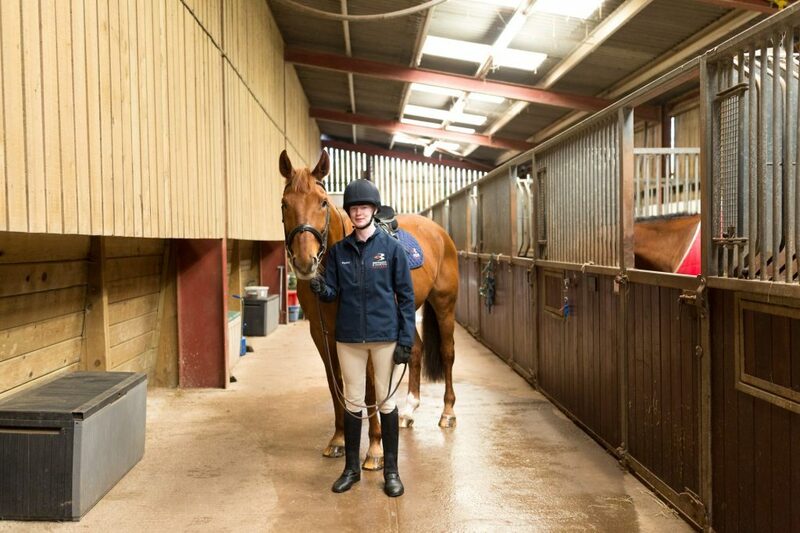 Students will have access to a range of horses that are suitable for all abilities. Students will be taught by our BHS qualified instructors. The exam is not offered at the Cannington campus. The course fee is for the training only and the exam fee is not included. It will be individual responsibility to enter the exam via the BHS. On successful completion you could progress to the BHS Stage 2 training. My course is made up of classroom-based lessons and practical sessions on the yard. This really helps to bring the theory we learn to life, and makes lessons varied and interesting.